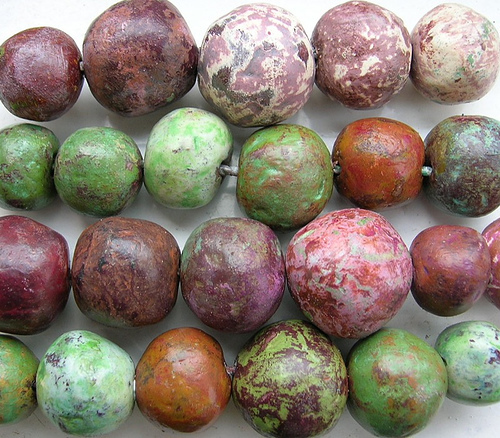 For a great tutorial on how to make beads out of recycled newspaper>> Imagine the possibilities …necklaces!! earrings!! 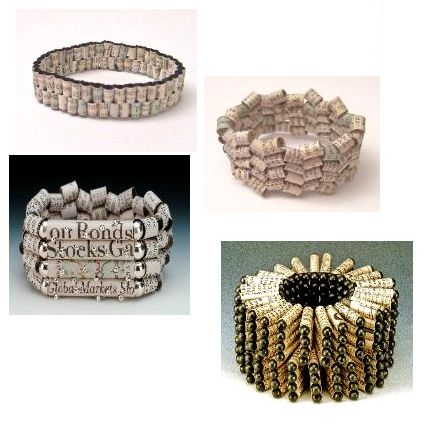 and bracelets! !, oh my!! 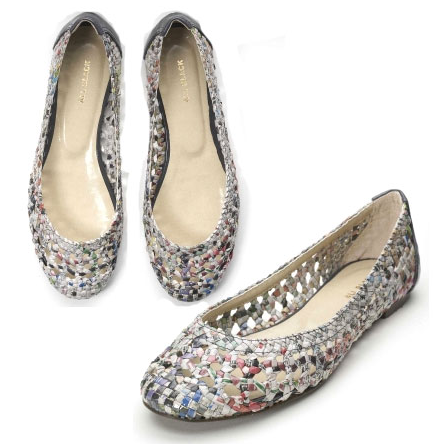 All created from materials that cost nothing! 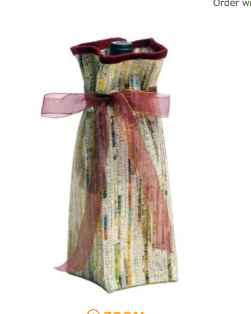 From Amazon, Oenophilia Yesterday’s News Recycled Newspaper Weave Single-Bottle Wine Satchel Made with recycled newspaper pages …a great way to deliver a bottle of wine or sparkly as a housewarming or hostess gift. 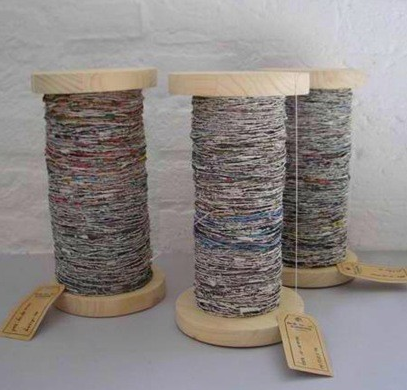 Concept created by artisit, Greetje van Tiem, but Doug Gunzelmann, over at Green Upgrader created a step by step tutorial on how to create your very own recycled newpaper yarn. 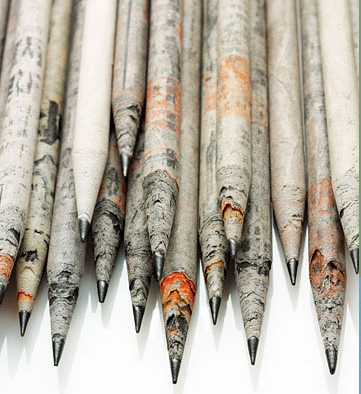 Made by hand from recycled newspapers and finished with paper made from 100% mulberry pulp, the Ecopod is available in a range of colors with and without screen printed motifs, plain white, or gold. 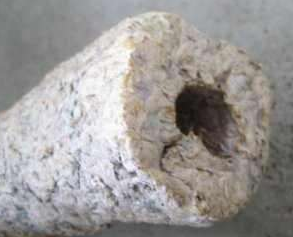 Step by step instructions on how to make logs from recycled newspaper available at Instructables. Warning: Be prepared to be attacked by advertising over at Instructables. 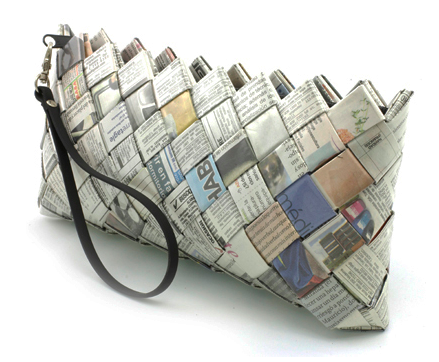 From Ecoist, a recycled newspaper clutch. 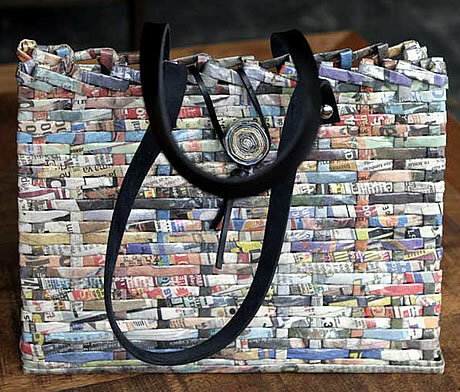 I always have a soft spot in my heart for Ecoist because I think they were the first to make handbags out of newspaper and candy wrappers …they are high quality too. 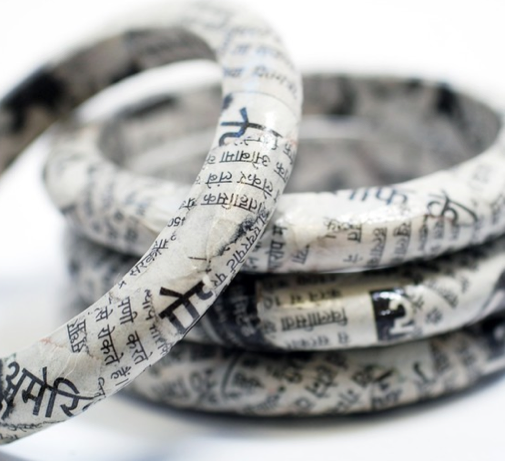 Narrow wood bangle bracelets that have been decoupaged with scraps of Indian newspapers. 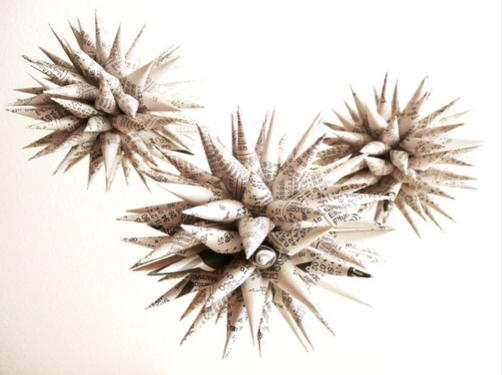 Each piece is one of kind and hand crafted in Squishy Sushi’s Etsy studio in San Francisco, CA. I love your site 🙂 I am a big recycler myself but find the latest trends on your site first!